Maryville University offers a variety of fun and interesting summer camps for children and pre-college programs for teens. Our programs allow students to improve their athletic skills, expand their artistic vision, explore the sciences and discover the exciting place where sports and business intersect. For boys entering grades 3 – 9. The camp will focus on your offensive development. Shooting the basketball and your 1-on-1 offensive moves will be emphasized every day. For boys entering grades 4 – 9. This camp will focus on individual development, predominantly offensive skills. Campers will receive a lot of individual instruction and critique throughout the camp. Shooting, post-moves, finishing around the rim, and other individual aspects will be emphasized. All games will be held in air-conditioned Moloney Arena in the Simon Center with a 5-game guarantee. This camp is designed for high school sophomores, juniors, and seniors, who have a strong desire to play at the next level. Camp instruction will include: position specific skill development, competitive drills and games with other college prospects, shooting technique/footwork, and team offensive and defensive concepts. Camp will be run by experienced coaches, as well as current and former collegiate players providing individualized instruction. Session One: June 19 – June 30, Monday – Friday, 9 a.m. – 3:30 p.m. Session Two: July 24 – August 4, Monday – Friday, 9 a.m. – 3:30 p.m.
Workshop: July 1, Saturday, 9 a.m. – 3 p.m. This program provides a unique opportunity for developing artists to build their portfolios while studying with college-level faculty in a highly creative and enriching art school setting. Cyber Security is one of the fastest-growing, highest paying career fields and we want you to experience Maryville’s Cyber Security program first hand. This institute will involve cyber related discussions and activities utilizing the iPad and Maryville Virtual Labs. Potential guest speakers or off campus trips to companies such as MasterCard, Boeing, SpearTip, and Contegix. This action packed week gives students the opportunity to experience what it’s like to work in the fast-paced environment of the business of sports. Students will have the opportunity to interact and network with professionals in a variety of positions within the business of sport including a product goods company, professional sports, minor league sports, sports commission and college athletics. 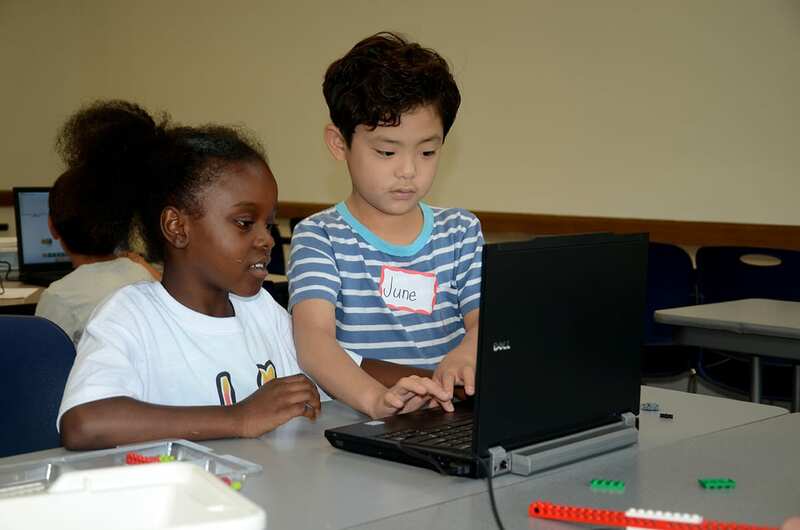 Check-in – Monday, June 12 @ 6 p.m.
Check-out – Saturday, June 17 @ 12 p.m.
An engaging opportunity for students who are interested in science, technology, engineering, art and math (STEAM) fields. We offer high end programming with highly qualified faculty, including professors, engineers, computer programmers and gifted certified teachers. 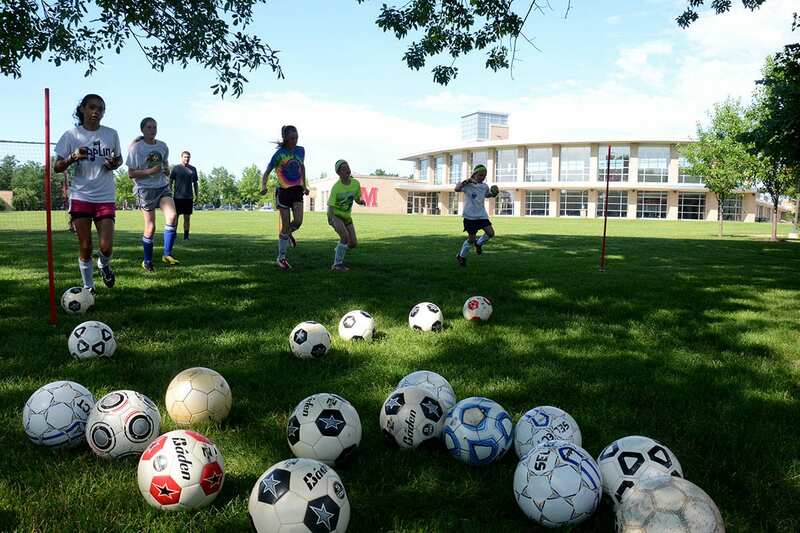 For over 30 years, the Maryville University Saints Soccer Camp has provided an atmosphere where players learn the fundamentals of soccer while receiving instruction from elite-level coaches. Teams are required to bring one adult coach/chaperone per dance program.